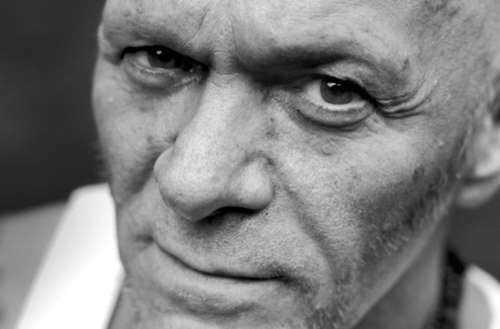 For four decades Junior Vasquez has been synonymous with dance music. 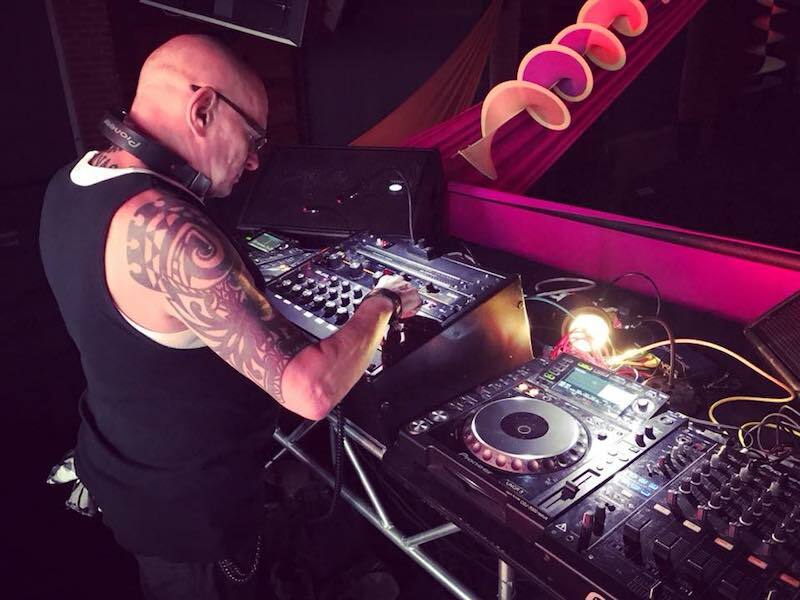 From Sound Factory to Tunnel to Arena, he has set the standard for late-night dancing and defined the era of the “big room club.” And as the industry has changed, Junior Vasquez has done the same. He’s most recently been in Pennsylvania, where he purchased a house and some land, and plans to be going back and forth from there to New York City. Now he’s emerging from a self-imposed hiatus to play NYC Gay Pride tomorrow, Saturday, June 23, at PlayStation Theater. 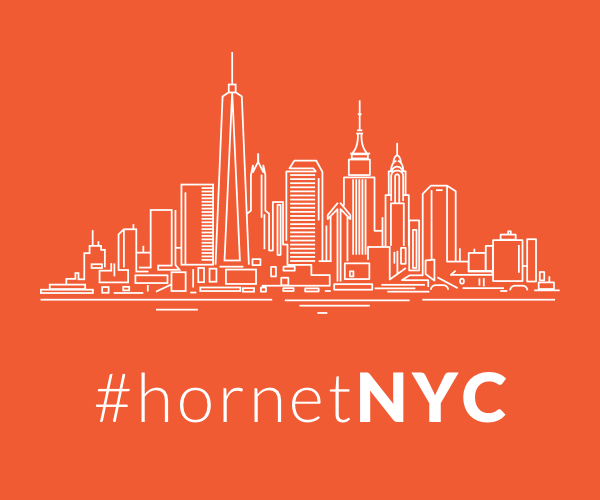 Hornet sat down to chat with Junior Vasquez about everything from working with legends like Larry Levan and Shep Pettibone to how the industry has changed, and whether he and Madonna can truly patch up their relationship to make music magic one more time. Junior Vasquez, let’s start at the beginning. While the world knows you as an icon in the music industry, many don’t know that you almost became a fashion designer. Yes, I actually did work with two designers for a while. I went to [Fashion Institute of Technology] and studied everything, even illustration, but it’s the same old thing. I worked, the holidays come, and then they lay you off. I worked at Giorgio di Sant’ Angelo, and a girl I worked with would send me down to Downstairs Records on 42nd Street. She would give me a list of records — 45s — and I would go pick them up for her. Then I started really getting into the place and started going on my own. The rest is history. I worked there eight years off and on — four years solid, then four off and on, because I also became a hairdresser! [Laughs] I was pretty good at everything. So many people remember the music you and Shep Pettibone did together, known in music circles as absolutely remarkable work. What are your best memories of those times? I most remember hanging with my sister, as I call him. We were thick as thieves, like Mary Tyler Moore and Rhoda. Being in the studio is a lonely thing to do. I went through it myself. I would hang out with him when he was in the studio mixing, and we became such close friends. The thing I remember most that I learned from him — there are many things, but the main thing is I did not ask any questions. I watched him mix on the SSL board. I didn’t know anything about how that was done. I didn’t know if I was in fact going to do that; I was editing and things like that. I would just listen and think to myself, “What is he listening to?” That’s what I learned from him: how to program and how to work on SSL boards. That took a couple years, and I really took it in, learned it and applied it. SSL went out, but I still use that knowledge. That is what I got out of him, plus a really great friendship. You’ve both worked with many people in the industry, but you both found some of your greatest success with Madonna. Your track “If Madonna Calls” remains an absolute classic. Could you and Madonna ever repair that relationship and recreate magic in the studio again? Of all of the songs I did with her, like “Bedtime Stories” and “Secret,” “If Madonna Calls” marked me, I think, as her Siamese twin. I don’t even know how I came up with the idea for it; it was an import, though. It was just Franklin Fuentes saying “if Madonna calls.” They used to play it at Tunnel, and I used to mess around with it, put beats up with other beats, stuff like that. I thought I would just go into the studio and do it, but I didn’t think she would react that way. My thinking lately would be to possibly do “If Madonna Calls,” but with her. She would do more singing on it and so forth, and I could do the “Hello Madonna, this is Junior” portion. I don’t know if she would do it, but I was just thinking about how the community would react to it. It would make a better impact, like “X” and “Get Your Hands Off My Man” did. Still, though, “If Madonna Calls” comes first as the one they always ask for. You mentioned Tunnel, but from Sound Factory to Arena (at Palladium) to Twilo, each of your residencies were almost an era in New York City nightlife. I definitely think Arena was my best. That was my cleanest. I took Palladium and made it what it should have been with Arena. I had the concept that I laid out, and they luckily gave me everything that I wanted when building it. That was the best year that I probably played. It was so glorious, and I felt almost God or angel-like, being up there for crowds like that. Getting everyone of all sexes, gender, color, everything — that was amazing. I did not have a problem with it ending. Everyone knew it would be ending Labor Day of that year, we knew that. It was that year that made it famous. Twilo was a darker part of my career. If I had to break it down, Sound Factory was the beginning of my career, where I cut my teeth and could do lots of things. Then I went to the Tunnel, and I was angry there, because Factory had closed and they had said it would never open again, although it did. At Tunnel I was playing angry music — pots and pans, lots of banging. When Arena came out, Peter Gatien took me to the Palladium and we did the whole place over. I was probably my happiest at Arena. Not that I was not happy at other places, but I liked the concept. It was hard to not have residencies, but it I got used to it. You can’t even do it anymore — how I used to play 24 hours. Places close at 7 or 8 in the morning now. I would love to do 10 hours, though! You are doing New York City Pride on Saturday, June 23, at PlayStation Theatre. What’s it like spinning such a major event? When I was asked to do Pride, that was a big “wow.” This is a big one. This is like what I did at Arena and Twilo, and I am extremely excited about it. I am sure it is going to be amazing. I have a lot of new stuff, and I’ve reworked some songs also. I’m not going to tell anyone yet, but they are amazing redos of really big songs. Of course I am going to play some moody stuff; some tribal, of course. Not too much anthem music perhaps; I don’t want it to be too sappy. I am hoping that everyone who comes is there to hear me. I am putting my music together to satisfy everyone who comes. So many of your remixes have become legendary on their own, and true Junior Vasquez fans are always looking for that one sought-after remix you did that no one has perhaps ever heard. Are there any remixes out there that fans still may not have heard? “Crash Goes Love” by Loleatta Holloway; it was on a reel to reel. I did that one with Arthur Baker. Many people ask me about “E2-E4”; Larry Levan used to play it at the Paradise Garage. I open sets with that sometimes, so that is one. There is also some new stuff coming that people have not heard that I’ll be playing at Pride. I used to try things live and it would come to me right then and there. I have to stay competitive with myself always. I won’t be a lazy DJ in the booth; I work. I need to twist your heads all the way around Exorcist-style. You’re working on a documentary about your life and your career. Is it surreal opening your life up for the world to see? No, I think it’s important. I also have tidbits where I won’t have to use “allegedly” too much. [Laughs] I want to tell the story. There is a book in the works also. The documentary is about my life inside music. I want to make sure all the urban legends get set straight. There are a lot of things in four decades that I went through, and I just want to tell it all. Maybe it will bring up some stuff inside me that isn’t very happy, but it cant be scripted; it has to be real. When we get investors, we will get started on it. 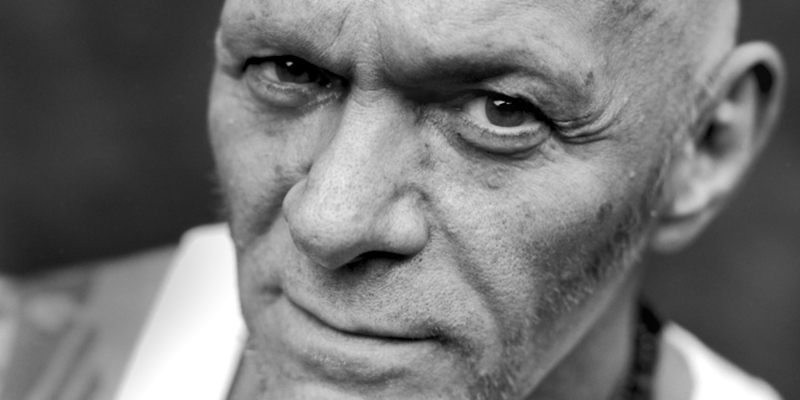 Looking back on your storied career, what do you want the Junior Vasquez legacy to be? I don’t know what it will be in the end, but I think my legacy will just be music. Just music. I did contribute to dance music for four decades. I think there are other things in my legacy also; really good people in my life who are healthy. I have always wanted to do a coffee table book and a documentary. It’s happening, but it’s going to take a couple years to wrap up. As far as my stamina, though, as long as I’m not stressing, I’m good. I started DJing late in life at 35, so it’s different for me. What is it that gives you the most pride? That I am able to have my friend Sue and close friends in my life. When I meet people I am standoffish. I am most proud of playing parties and people are still giving me “JOOONYA!” I’m proud of what I’ve done — hairdressing, fashion, DJing. I make jewelry now also. Maybe I’ll do a line — QVC or something. [Laughs] For the circuit queens on those yachts! Junior Vasquez is playing NYC Pride this weekend, on Saturday, June 23. More info here.